Providing you the best range of power bank battery with effective & timely delivery. Power bank Battery is developed by us using latest technology support and provide optimum backup support for smartphones, iPhone, PSP, GPS, MP player, mobile phones as well as other digital devices. Carry this elegant looking chargeable portable battery key-chain with you everywhere you go. It is ultra compact, powerful and the best companion for recharging your devices while you're on the go. This sleek and stylish looking portable power bank comes in pretty pastel colors and a beautifully weaved thread attached to it. It can be easily used with any type of mobile phones, Smartphones or MP3 devices. Take this compact power charger anywhere with you and avoid disappointing moments by recharging your gadgets that are running low on battery. 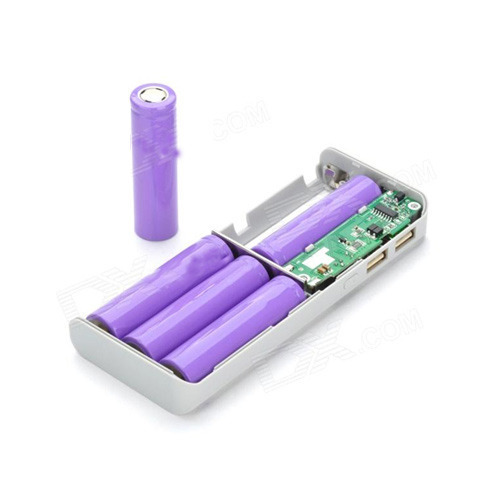 Looking for “Power Bank Battery”?